Le Toy Van TV890 Sunny Farm Animals - Chat Perché - Toys & Games! Age : 3 years old and up. A set of 9 painted wooden animals scaled for Le Toy Van farms. Age : 3 years old and up. 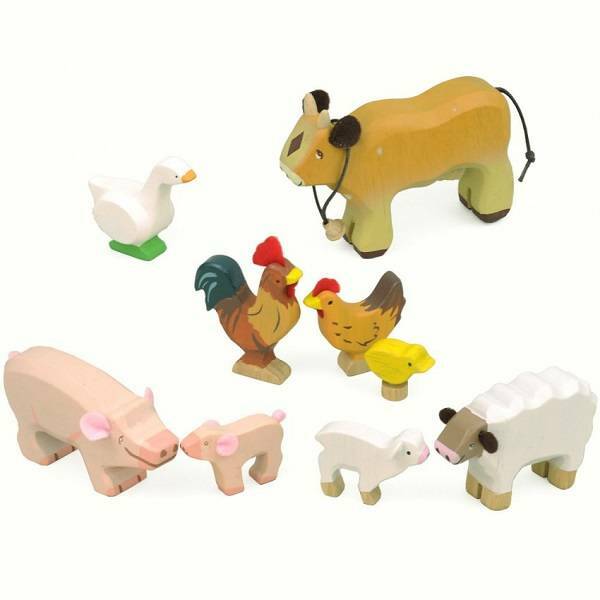 Get back to nature with the Le Toy Van Farm Animals Set; A set of 9 painted wooden animals.